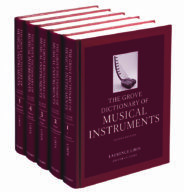 Available in print and on Oxford Reference this dictionary is the largest, most comprehensive reference publication on musical instruments of the world yet produced. Every summer since 1895, the Henry Wood Promenade Concert (commonly known as the BBC Proms) presents an eight-week orchestral classical music festival at the Royal Albert Hall in central London. This year’s Proms put a special focus on cellos. Invented in the early 16th century, this massive instrument (second in size only to the double bass in the strings family) has a highly versatile history. The Baroque period saw Bach composing unaccompanied cello suites; Haydn, Schumann, and Brahms made use of cellos in concertos in the following Classical and Romantic eras; in recent times, there has been a rise in solo pieces, and soloists can frequently be found playing modern pop and rock music. Since its birth in Europe, the cello has traveled all over the world, becoming a fixture in Chinese orchestra. Its unique tone and fluidity has made it a popular instrument in our time, making accomplished cellists such as Yo-Yo Ma and Jacqueline du Pre household names. In celebration of this year’s Proms, and the cello, allow us to present a list of interesting things you might not have known about cellos. ‘Cello’ is actually only a nickname. It is the abbreviation of the full name violoncello, which, in Italian, means a ‘small large viol.’ This bizarre name denotes its complicated history of size change. The plural of cello (pronounced ‘CHEL-oh’) can be either celli or cellos. We still don’t quite know the origins of the bass violin (the name used for the earliest forms of the cello) but what seems certain is that it first appeared in its present size, name, and tuning south of the Alps. Traditionally, cellos used in orchestras had coarser black hair on a heavier bow, while cellos used for solo playing had white hair on a lighter bow. 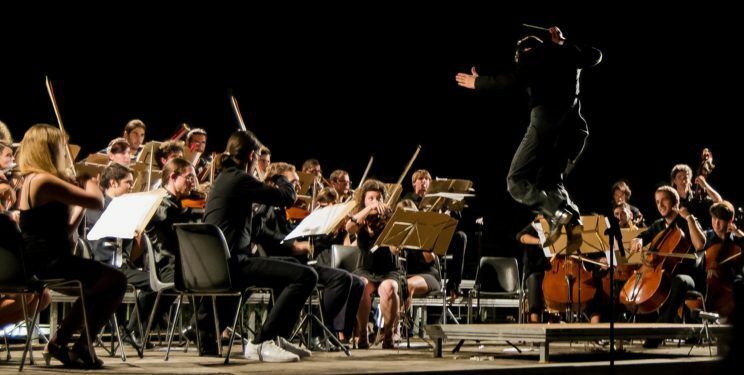 Gaga Symphony Orchestra, by Carlo Alberto Cazzuffi. CC BY-SA 3.0 via Wikimedia Commons. The neck of a cello slants backwards so that the downward force a cellist exerts on the bridge is increased, thereby producing the louder sound needed to compete within an orchestra during a concerto. Before the 18th century, the cello was held upright solely through the strength of the cellist’s legs. The pointed endpin we see on celli nowadays was made popular by A.F. Servais, a prominent performer and tutor, who became too portly to hold his Stradivari with just his legs, and made use of an endpin as support. Originally, cello strings were made out of sheep gut. Now, metal wiring has become predominant. Four strings weren’t always the case. From the 17th to the 18th century, five-string celli were used in Germany, as well as Dutch and Flemish areas. In most modern orchestra settings, the cellists sit on the second-to-right hand side of the conductor, though this may vary for each orchestra. Featured image: Cello by enbuscadelosdragones0. CC0 Public Domain via Pixabay. Read more about the cello and its history in The Grove Dictionary of Musical Instruments. Tremolo is not the same as vibrato!